This weekend is the Star Wars Celebration in Chicago, and Star Wars fans have already gotten their first look at Star Wars Episode IX, now titled The Rise of Skywalker. While that’s pretty exciting, there’s one more big thing from this weekend that gamers specifically are waiting for. 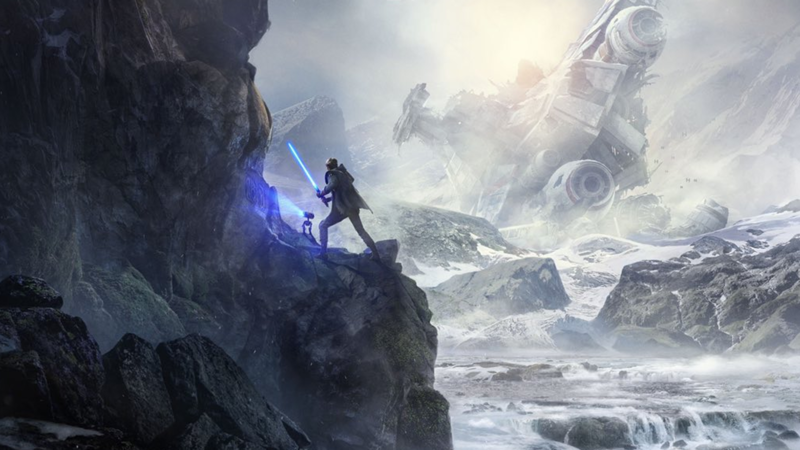 First unveiled (in title only) at last year’s E3, little was known about Respawn’s Star Wars Jedi: Fallen Order. That is, until today. We’re finally going to get a little bit more than just the title and some key art. Could this be the redemption arc that Star Wars games need? You can watch the full live stream reveal on Twitch in the embed below. The stream officially starts at 11:30 am Pacific/2:30 pm Eastern. We do know a couple of things about Jedi: Fallen Order, thanks to teases and leaks since its unveiling. We know for certain that it will not be using EA’s problematic Frostbite engine, but will instead be using the more malleable Unreal Engine 4. We know that the lead writer on Knights of the Old Republic 2 worked on the game. And we know that it’s releasing in fall 2019, basically just around the corner. Thanks to a tweet from EA Community Manager Ben Walke, we also know a few other things. The protagonist survived Executive Order 66, which was the order given by Palpatine to murder all of the Jedi. That means this game takes place between the end of Episode III and the start of Episode IV. Jedi: Fallen Order is a single-player story-focused game with no multiplayer and no microtransactions. With a full hour scheduled for the reveal, this isn’t going to be a throwaway two minute trailer that hypes everyone up briefly. We’re set to get a long look and some deep insight into the game for the first time, and then it releases by the end of the year. What do you want most from Star Wars Jedi: Fallen Order? If you’ve already watched the reveal, what do you think of Respawn’s Star Wars game?